Misaligned teeth affect more than your smile’s appearance; they can also cause a host of subsequent dental problems if not corrected as soon as possible. Even if you never needed braces as a child, you might experience crooked teeth as you grow older for a number of reasons including impacted wisdom teeth, tooth wear, or tooth loss. With ClearCorrect™ clear braces, we can help many teen and adult patients straighten crooked teeth without the traditional bracket-and-wire setup of orthodontic braces. The nearly-invisible plastic aligners allow you to improve your smile while keeping your orthodontic treatment discreet, comfortable, and convenient. The only way to improve crooked teeth is to reposition them (except for minor cases when porcelain veneers are a viable, less-extensive cosmetic solution). To do so, orthodontic braces involve bonding brackets to your teeth, then threading the brackets with arch wire. Tightening the wire applies a continuous amount of pressure that slowly forces crooked teeth into proper alignment. 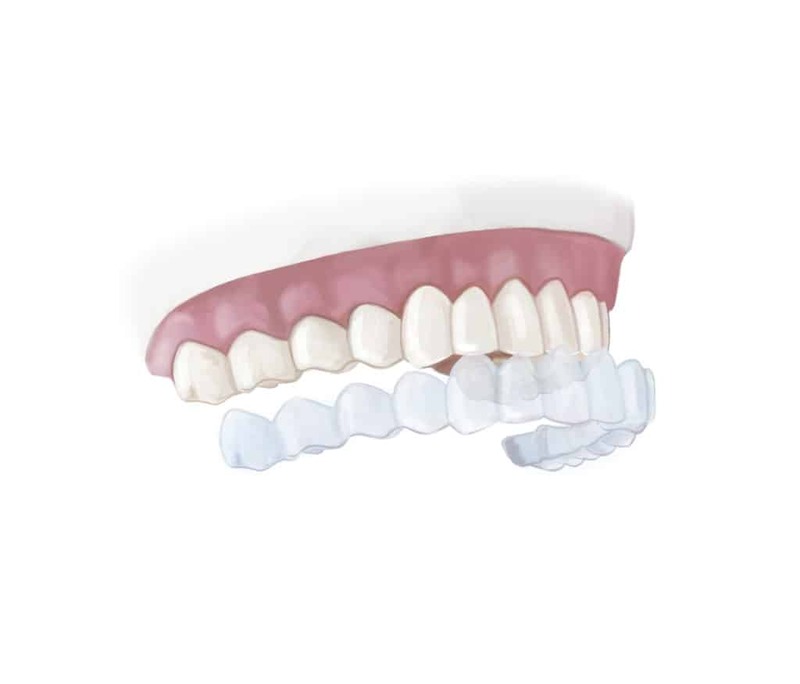 ClearCorrect™ achieves the same goals as orthodontic braces, but utilizes a series of custom-designed, clear plastic aligners rather than intrusive brackets and wires. The first aligner is modeled after your teeth in their current positions, but modified slightly to begin guiding your teeth into more symmetrical alignment. As you progress through them, each subsequent aligner is designed to continue guiding your teeth a bit further toward their final position. Improved dental health – clear aligners are not bonded to your teeth like braces, and therefore they do not threaten the strength and integrity of your teeth. Easier hygiene routines – with a focus on convenience, ClearCorrect™ aligners can be removed from your teeth before brushing and flossing to make your hygiene routine as simple as possible. The same foods you always have – you can also remove your aligners before you eat, making it possible to enjoy your favorite meals without worrying about food sticking between your braces.